KPU students are nearing the end of yet another exhausting school semester. Most will find themselves inching closer to their educational goals, which means completing the last few assignments, prepping for the final round of exams, and once again maintaining composure until the point where all that remains is to await the eagerly anticipated final grade results. It is during this time that students tend to neglect their health and well-being as they focus on their schoolwork. As such, students need to be made aware of which on-campus services they can utilize when the need arises. Many of these services help those who struggle with depression, anxiety, and other issues that personally impact them. It’s not unusual for students to feel pressured by the need to maintain their focus on grades while also juggling the stressors and demands of everyday life. A lot of them will find a way to deal with this while others will struggle. We are all built differently—some thrive in high stress situations and others struggle to making it through the day. This is when depression and other issues can arise. However, the knowledge that there are resources available to those in crisis can make an enormous difference, and can help them to maintain their happiness, stability, and their capacity to engage in class. It is often the case that students struggle with stress and anxiety as they near the end of a semester. However, if one already has a pre-existing mental illness, the negative symptoms they face regularly can be further amplified by test taking, report writing, or other demands that are expected of students. The key to avoiding this is taking the necessary steps to curb such effects, whether that means implementing a personalized method of self-care or utilizing proper time management techniques. Still, some students might find themselves in such a negative state that they desperately need or require additional help. 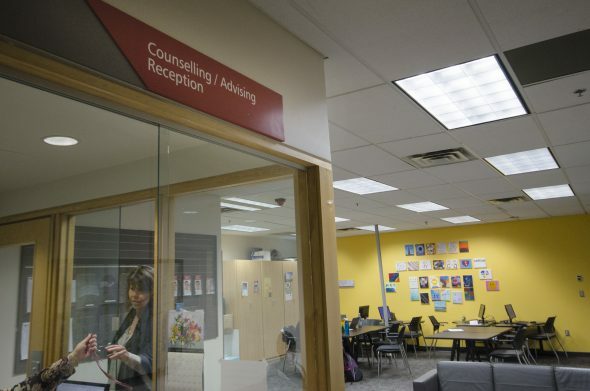 This is where counselling and external resources available to students comes in. Unbeknownst to many, there are specialized services available that are tailored to very specific issues that students face. Some of these offer support for those struggling with anxiety, depression, unplanned pregnancies, financial problems, abuse, suicidal thoughts, and a plethora of other issues. When accessing these resources or even entertaining the idea of reaching out for help, it is important to know that the majority of these services offer 24/7 multilingual support at no cost to the caller. Most of them also follow strict confidentiality and anonymity guidelines, which provide a method of protection to those who fear stigmatization or perceived judgement when reaching out for help. For those who need someone to talk to, the Crisis Line (604 951 8855) is available 24/7 to those in need. If a student finds themselves needing assistance with a mental illness, there is the 310 Mental Health Line (310 6789) that they can call. Lastly, for those who have come to a point where all else seems hopeless, there is the suicide line service (1 800 784 2433) that can be reached 24/7.